FINALLY! you closed on the land and now you own it. One might assume that the next step to getting started on your new home is getting the plan. The excitement and dream of the perfect home takes over your life. 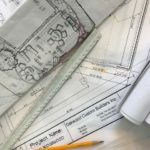 You are zealous to get started on the plan and have been watching home buying, home … [Read more...] about Which to Chose First: Designer or Builder?